The most important investment Northwell Health makes is to education. With more than 100 medical residency and fellowship programs across our 17 campuses, Northwell is transforming medical care through advanced training of future medical professionals. The Division of Addictive Treatment Services at Zucker Hillside Hospital offers a one-year ACGME-accredited fellowship in addiction psychiatry. 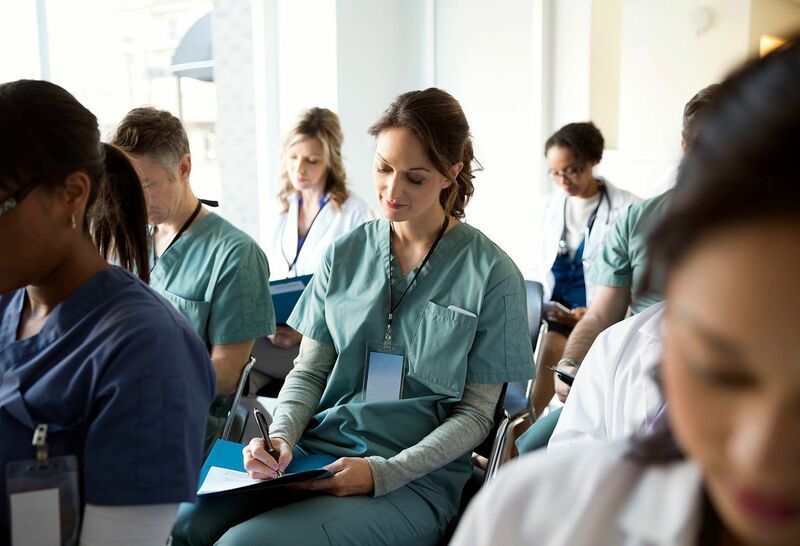 Trainees acquire the knowledge, skills and judgment to provide quality clinical care as well as an understanding of the etiology and course of addictive disease. The geriatric psychiatry fellowship training program at Zucker Hillside Hospital, part of Northwell Health, offers psychiatrists the expertise in the diagnosis and treatment of neuropsychiatric disorders in late life. The program is one of the first and largest geriatric psychiatry programs in the United States. The Fellowship in Child and Adolescent Psychiatry at Cohen Children's Medical Center trains psychiatrists to understand, relate to, and treat the complex emotional, behavioral and developmental needs of children and teens. The United States is facing a shortage of child and adolescent psychiatrists. As of 2013, there were only 8,300 to treat more than 15 million children and teens in need of the special expertise of child and adolescent psychiatrists. The faculty and staff at Zucker Hillside are committed to addressing this shortfall through the development of exceptional clinicians in this field. Zucker Hillside Hospital, part of Northwell Health, offers a one-year fellowship program in psychosomatic medicine in the Department of Psychiatry. The program is one of the largest in the country and has been recognized nationally and internationally for excellence in consultation-liaison education, including winning the Alan Stoudemire Award for Innovation and Excellence in psychosomatic medicine education. The Residency in Adult Psychiatry offers trainees the opportunity to evaluate and treat patients seeking mental health care in a range of psychiatric services. The hospital includes specialized inpatient units in early phase illness, women’s mental health, affective disorders, adolescents, geriatrics, and dually-diagnosed patients. Zucker Hillside Hospital is recognized by the New York State Education Department’s State Board for Social Work as an approved provider of continuing education for licensed social workers. We're also recognized by the New York State Education Department's State Board of Mental Health Practitioners as an approved provider of continuing education for licensed mental health counselors. Throughout the year, Zucker Hillside Hospital offers professional education programs for social workers and other mental health professionals. If you’re a referring physician or hospital, please download and complete the appropriate patient referral forms Medical Readiness List and Inpatient ECT Referral Form. Please complete the Medical Readiness List and fax to (718) 470-5699 or email to [email protected].